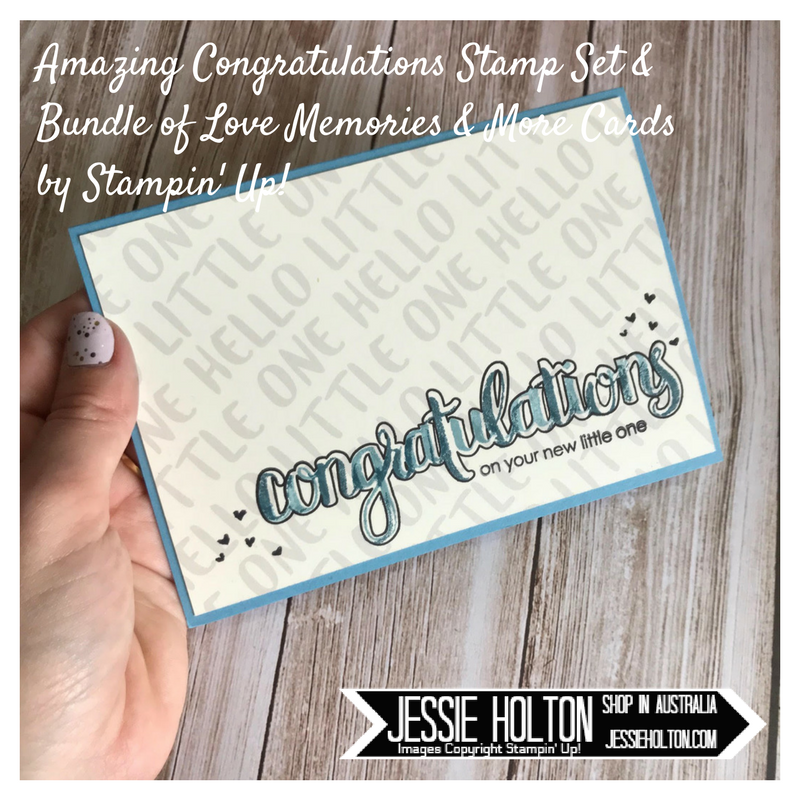 Today I'm playing along with Kylie's international blog highlights & you can vote for your top five favourites, so make sure you follow the link after my pics & you can go & see all the gorgeous creations showcasing the new products from the Sale-A-Bration & Occasions Catalogs. I have tons of favourites from these catalogs & this is my favourite time of year with some many goodies to be had! Everyone loves a freebie! I have chosen to use the Amazing Congratulations stamp set from the Occasions Catalog with the Bundle of Love Memories & More Cards from the Annual Catalog. 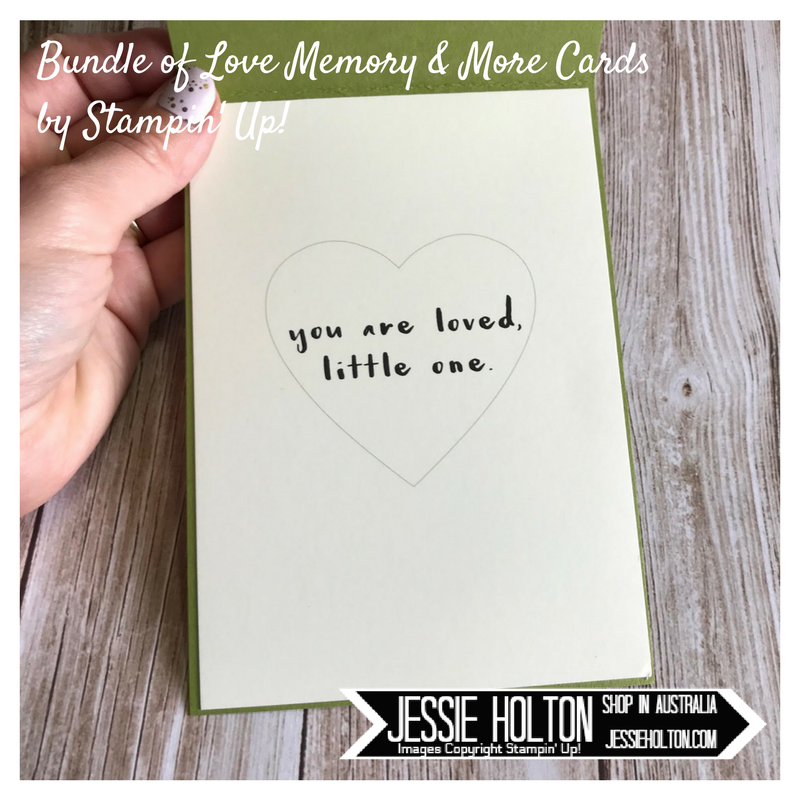 There is a separate outline stamp & then two watercolour type ones to fill in the inside of the letters, plus a bunch of really cute smaller sentiments & stars & hearts etc. A boy version in Marina Mist & Dapper Denim. And a girl version in Wisteria Wonder & Sweet Sugarplum. 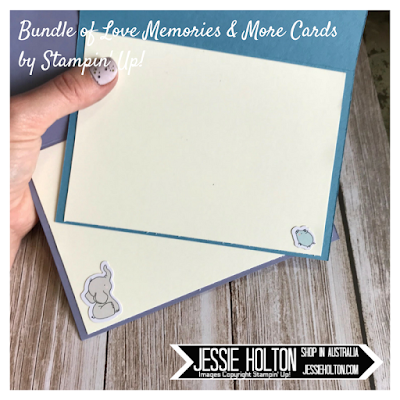 I've used the stickers that come with the Bundle of Love Memories & More Cards to decorate the inside. 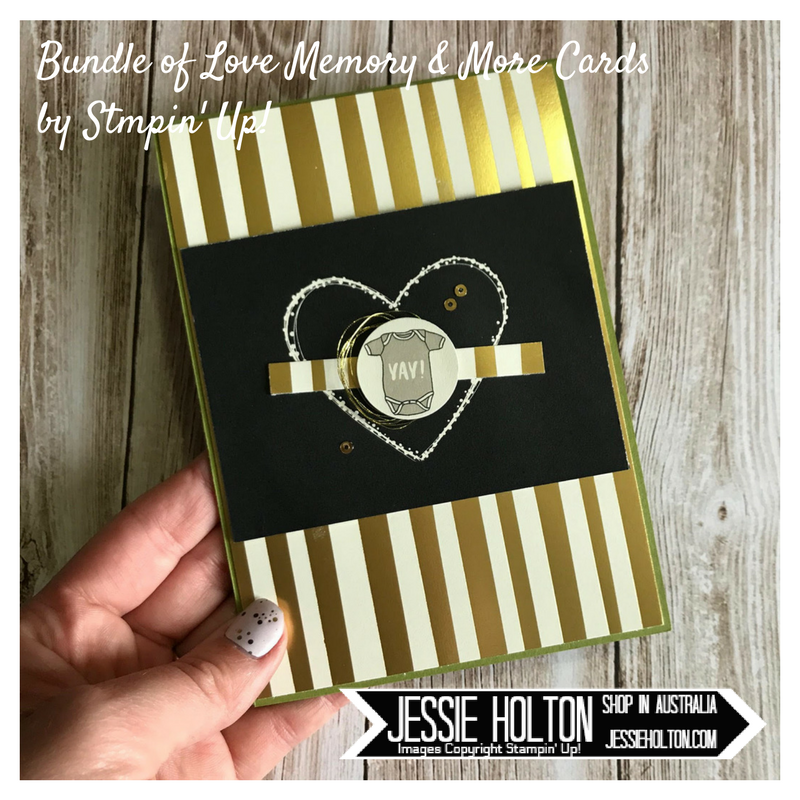 And a quick bonbon made with the Envelope Punch Board, a Bundle of Love Memories & More Card & a bit of the new White Organza Ribbon. Because what new mum doesn't need a bit of chocolate to get her through the day haha! And a unisex one made with black, gold & Old Olive. 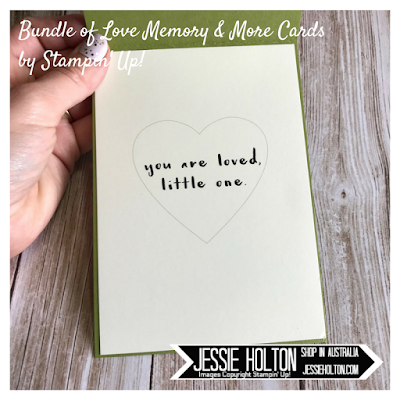 No stamping on this one, just the Bundle of Love Memories & More cards! I've also added some Gold Metallic Thread & Gold Mini Sequin Trim (pulled sequins). I cut the little onsie out from one of the cards with the 1-1/4" Circle Punch. And another card to decorate the inside, how easy is that! 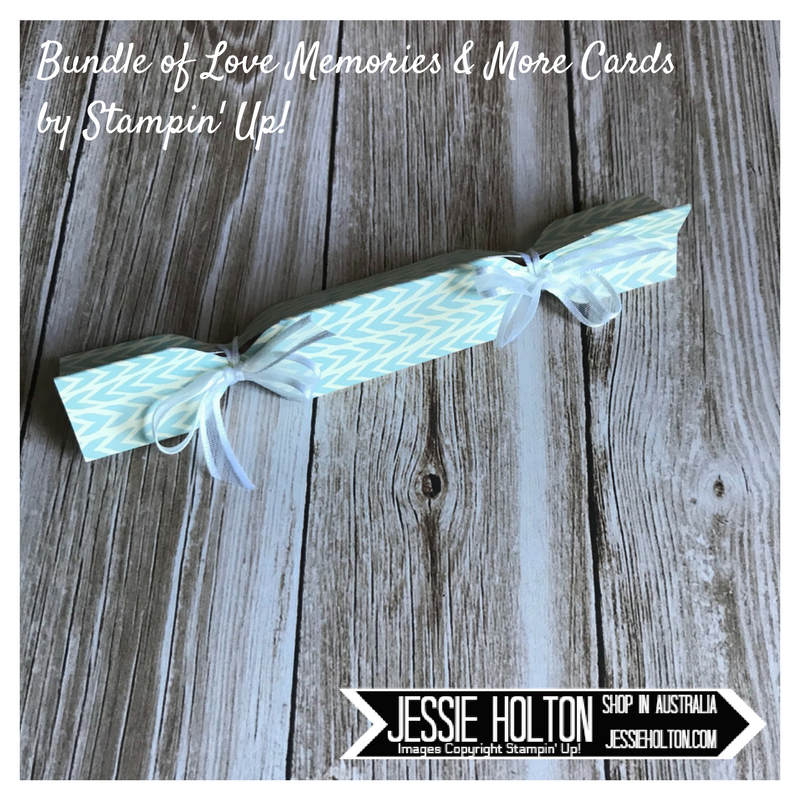 Remember to use my January Hostess Code JGVUNRRS at the bottom of your Shopping Cart & get a handmade card & a gift from me at the end of the month! 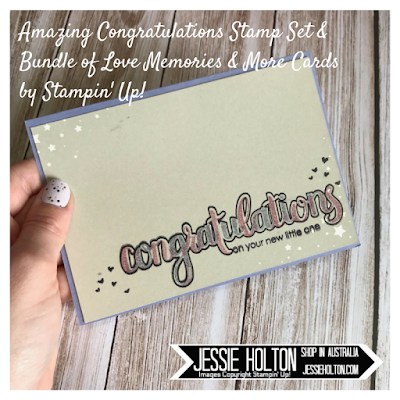 All orders that use my Monthly Hostess Code receive gift & card & go in my monthly customer draws! 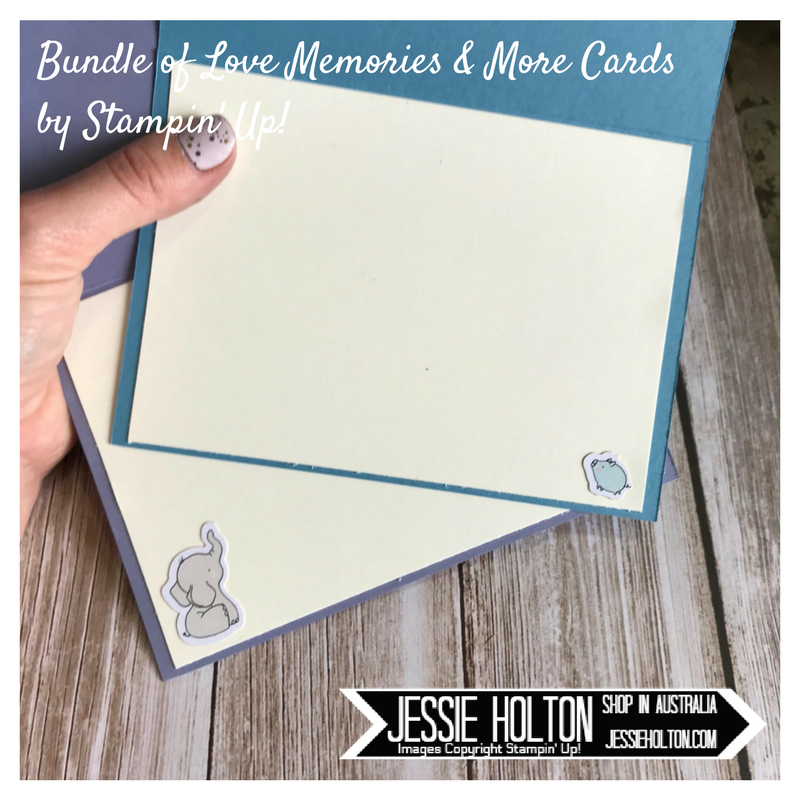 Here are some of the products I've used in today's cards. Click the link to go to my online shop & remember to use my hostess code & shop in $90 increments to get lots of freebies!